Brianroy's Input: Guest Blog: Natural Blaze with Michelle Goldstein - "This is Why You Should Not Blindly Follow Your Doctor’s Advice to Vaccinate"
Guest Blog: Natural Blaze with Michelle Goldstein - "This is Why You Should Not Blindly Follow Your Doctor’s Advice to Vaccinate"
The subject of vaccines is extremely controversial. Most individuals have been taught from an early age that vaccines are safe and prevent disease. I wish that both of these statements were true, but I am now convinced, after extensive research and experience, that vaccines do not prevent disease and that they are far from safe. Tremendous pressure is wielded by physicians, hospitals, public schools, family and friends to vaccinate. You must come to your own conclusions and stand firm, should you decided not to vaccinate. It is imperative to take time to do some independent research on this medical procedure. 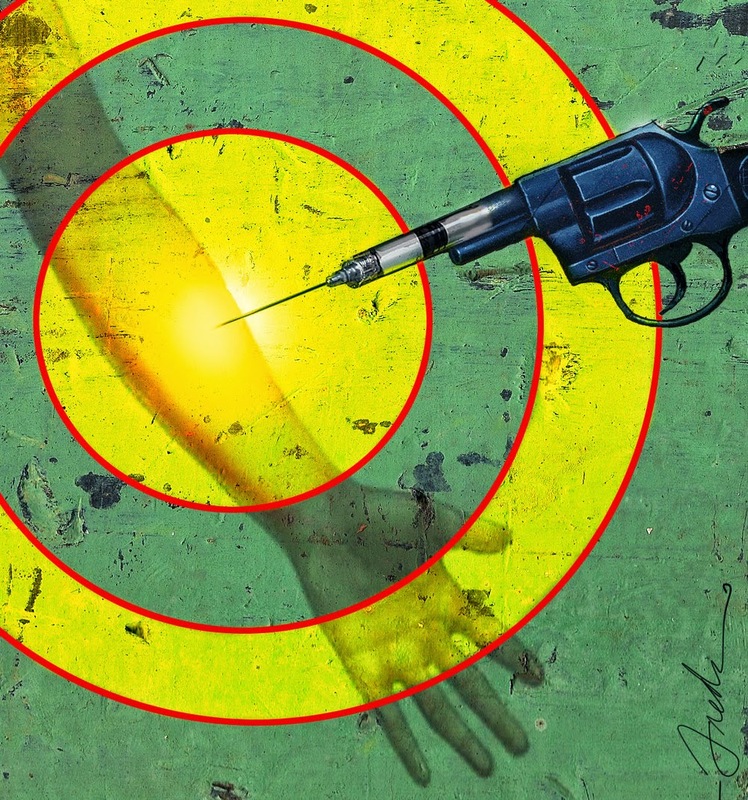 The health consequences of vaccinations, which include death, cannot be easily reversed, if at all. For many, it is too threatening to consider that something one has been told their entire lives may not be true. This is called cognitive dissonance. I experienced this myself initially when I first began researching the subject of vaccines. I did not want to believe what independent research articles and well-written books were advising me about vaccines. I felt very uncomfortable. I truly believed at one time that the more vaccines I gave myself and my family, the more protection we had from disease. I was quite saddened, disappointed and outraged to discover that the opposite was true. It took me several years of research and time to gradually reverse my views to what they are today. I know that my views are unpopular and controversial, but I really feel that the implications and dangers of vaccines are too great for me to quietly stand on the sidelines and do nothing. You alone must make your own decision about whether to vaccinate or not, but it is essential that the decision be made as an informed consumer of health care. I want others to learn from my mistakes and not suffer as our family has from the negative, serious, life-threatening side effects of vaccines. Do not blindly follow the advice of others, including your doctor. Several issues complicate the decision of whether to vaccinate. Many parents feel pressured to vaccinate by their physicians, families and schools. Health care practitioners and employees working in hospitals are pressured to vaccinate themselves in order to keep their jobs. In particular, flu vaccines are often required annually to maintain one’s employment. While medical exemptions exist, including the option to wear a mask during flu season, employees often feel that they have no option if they want to keep their jobs. Do NOT blindly follow your physician’s advice. 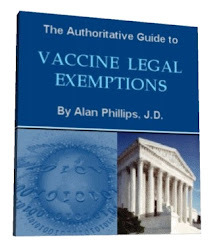 They have been well-trained to recommend vaccines and are, in fact, pressured to follow the recommendations of their professional organizations, including the American Medical Association (AMA) and the American Academy of Pediatricians (AAP). If physicians and other health care professionals do NOT recommend vaccines, they fear negative professional consequences. Most have done no independent research on this subject. Many health care professionals who do spend time studying the subject of vaccines reach the conclusion not to vaccinate and will not vaccinate themselves or their own families. I have had close physician and nursing friends confide in me that they continue recommending certain health care practices, including vaccines, that they no longer believe in personally. They do so out of pressure to follow standard medical practice and fear of jeopardizing their jobs or practices. Most private conventional pediatric offices will refuse to provide services unless your child is at least partially vaccinated. Most integrative physicians and chiropractors will support your decision to NOT vaccinate. The Vaccination Council’s website is an excellent resource to use to locate a physician who will support your decision NOT to vaccinate. Pediatricians associated with public hospitals cannot refuse services to children who are unvaccinated. With effort, a physician or health care provider can be found to support your decision and guide your child to good health as needed. Ultimately, you must take responsibility for your own and your child’s health. Unfortunately, in today’s reality, parents face tremendous pressure from the health care system to vaccinate their children. If the pressures from the medical community were not enough, schools threaten to not admit unvaccinated children. Most parents do not realize that exemptions exist in every state, allowing children to attend school. Every state has medical, religious and/or philosophical exemptions. Homeschooled children avoid this public policy. To determine your state laws for exemptions, check here. Most of us have been trained to believe that vaccines are safe and prevent disease. It is very confusing to first realize that this may not be true. Tremendous pressures exist from physicians, hospitals, family and the public school systems to vaccinate ourselves and our children. Physicians are taught to recommend vaccinations as a first-line defense against disease, while they are not taught the serious health damages created by vaccines. Physicians often blindly follow the recommendations of their professional organizations to vaccinate, without doing any independent research. Those few physicians and nurses who do know better than to vaccinate will often continue to recommend vaccines to patients for fear of professional consequences. It is up to you to learn about the very real health consequences of vaccines, including death and life-threatening diseases. Health care professionals exist who will respect your decision not to vaccinate, should you choose to do so. Vaccine exemptions exist in every state allowing unvaccinated children to attend public schools. Your health and that of your children depends on you taking the time to educate yourself before making this health care decision. Please see the following resources to learn more.